These five iPhone apps I have tried and tested are excellent for air travel and will make the hectic- sometimes annoying process much easier. 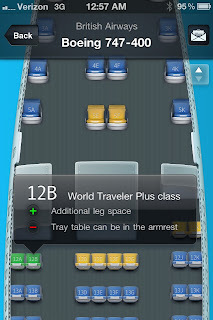 Here are the best iPhone apps for air travelers. Gate Guru (Free)– Some terminal can be huge such as the ones at LAX and SFO and ATL and we don’t have time to search for restaurants, and shops. With Gateguru you can find out what is in any terminal in almost any airport. You can find reviews, and a map so that you don’t walk to the wrong end of the terminal for Sbarro at ATL (I have). Know when to go through security with an estimated wait time section. This app will make your travel time much more efficient so that you can find food and still make a tight connection. Jets ($2.99) Do you need to book a flight on the go? Do you want to see where your seat is on the plane? The Jets app does this very well. You can search seat maps by flight, location, Airline, and Airplane. 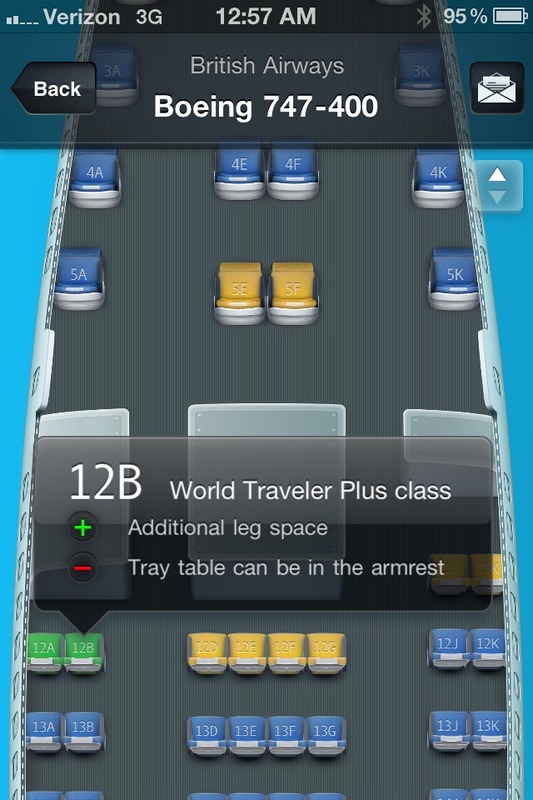 The seat maps themselves are similar to Seat Guru with each seat color coded, and clickable. The app is pretty recent so it basically only has Boeing and Airbus aircraft but it is expanding and has a lot of potential for the future. My TSA (Free) This free app by the TSA provides weather, security time estimates, a TSA rules guide, and the awesome “Can I bring?” section. The section allows you to search and see what objects are allowed through each level of security from checked bags to customs. For some fun search the “B” word(not a female dog) and light-saber. This is a great app for getting through security hassle free. LiveATC($2.99) United offers a great service called channel 9 on airplanes which broadcasts live ATC to the plane but unfortunately it is exclusive to United. If you’re on the ground or your plane has wifi then you can listen to Air Traffic Control for over 100 Airports. I have listened to anything from the huge SFO to the tiny airport HPN. This app is very entertaining. Dropbox(Free) Access your documents from everywhere. I use this to write on the go and then transfer it to my computer. It Syncs automatically. I can view all of my documents on my phone and transfer photos. I love it and I got two gigs free. Check it out here. These are 5 of thousands of travel apps that can simplify your travel life. Enjoy them! What is your favorite? Comment below.